McLaren has revealed the first car in its Sports Series family: the McLaren 570S Coupé. The classic sports car with mid-engine rear-wheel drive layout and carbon fibre shares its DNA with the McLaren Super Series and Ultimate Series that sit above it in the new three tier McLaren range. The Sports Series introduces McLaren race-derived technologies and design values to a new segment and audience. It combines, as its names suggests, a power output of 570PS (562bhp) with light weight construction to give a class leading power-to-weight ratio of 434PS per tonne. The 570S accelerates from 0 to 100km/h (62 mph) in 3.2 seconds, while 200 km/h (124 mph) is reached in just 9.5 seconds with the pace not letting up till the car reaches a top speed of 328 km/h (204mph). The Coupé is the first bodystyle to be shown in the Sports Series, highlighting the latest evolution of the McLaren design philosophy. The entry level supercar was unveiled for the first time at the 115th New York International Auto Show. Styling cues from the range topping P1 are evident in the 570S, such as the rear flying buttresses that aren#t just for aesthetics but increase downforce and the door tendons that direct additional air to cool the mid-mounted V8 engine. The Sports Series features an evolution of the 3.8-litre V8 twin turbo engine, named M838TE, with 30 percent of components unique to the new model. Engineered by McLaren, it produces 570PS (562 bhp) at 7,400 rpm, and 600Nm (443 lb ft) of torque at 5,000-6,500 rpm. Power is dispatched via a seven-speed SSG transmission, and transferred to the road through the rear wheels. This power is brought under control with standard-fit carbon ceramic brakes, fitted behind a newly designed range of forged alloy wheel options with P Zero™ Corsa tyres as standard from McLaren technical partner, Pirelli – 225/35/R19 on the front and 285/35/R20 on the rear. The unique carbon fibre MonoCell II chassis has been newly designed with more of a focus on day-to-day usability, offering improved entry and exit from the cabin. It is incredibly strong and stiff yet weighs less than 80kg, offering optimum levels of protection. This lightweight structure, and the use of aluminium body panels, contributes to a dry weight of as low as 1,313kg (2,895lbs), almost 150kg lighter than its closest competitor. The 570S doesn’t just deliver on performance, it offers fuel efficiency too for car that is a member of the 200mph club, with fuel economy of 25.5mpg on the EU combined cycle, and emissions of 258g/km. The interior of the 570S has been designed around the driver, with a clear focus on engagement, visibility, functionality and more than any McLaren before it, day-to-day usability. As standard, the sports seats are leather upholstered – racing seats are optional – offering a high level of long distance comfort and support. The dashboard and steering wheel are also all leather trimmed. Intelligent design within the cabin provides extended storage space, adding to the 150 litres of storage in the front luggage bay. 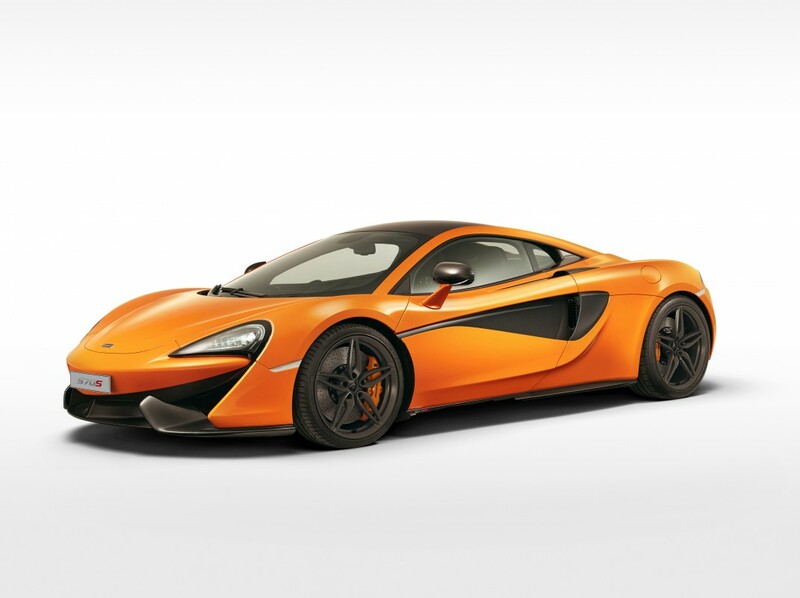 McLaren has announced the new 570S Coupe will be priced from £143,250 when it goes on sale later this year. The British based brand has also confirmed a less powerful 540C model will debut at the Shanghai Motor Show next month and cost from £126,000 and a 570S GT fastback version will also join its line-up.